The first question that we get asked is who is the Captain? Most recently it´s been Peter but Jade has also had her hand at skippering and is happy to let Pete take the reins, for now. When you get down to it when one is acting Captain, the other is Co-captain. 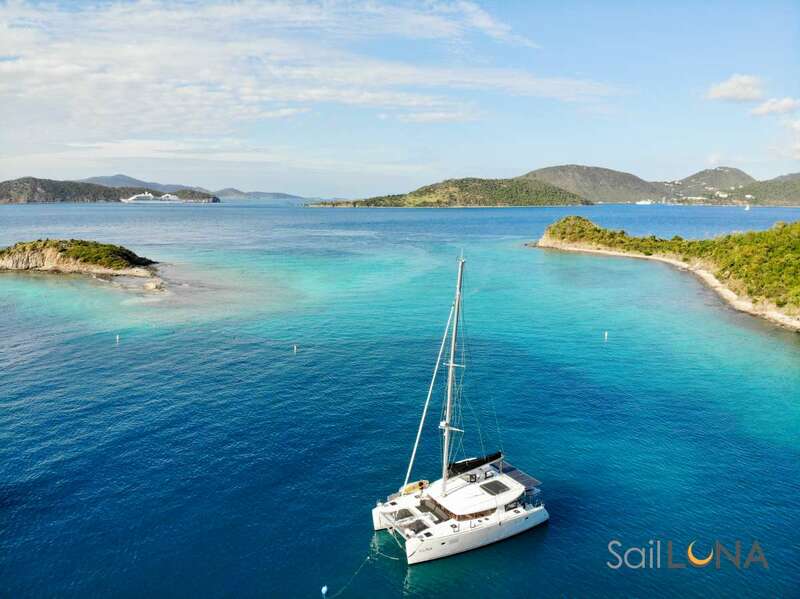 Jade´s sailing repertoire spans along the Pacific Coast from Vancouver Island to Costa Rica and the Atlantic shores of New England and the Eastern Caribbean on any kind of sailing vessel from tuna fishing boats to tallships to Catamarans. Her preferred rig is her own 38ft Junk rigged schooner that is currently being outfitted for a circumnavigation. Peter literally cut his teeth on his family´s Morgan 27 and Morgan 40 on the tempestuous waters of the Great Lakes. Racing several evenings a week and 3 day long cross lake marathons are common place still in the Lech family, placing repeatedly top of their class and best overall. He brings his ease at the helm and 14 years of management experience to execute smooth vessel operations. Pete applies his classic french training to local exotic ingredients and as a Sommelier pairs them with the best wines from around the world. Jade´s influence stems from her asian-pacific up- brining with emphasis on fresh, health conscious plates never lacking in rich flavors and originality. Combining thousands of sailing hours and two successful careers in high end service, it´s easy to conclude that with us as crew your yacht experience will be nothing less than world class. Offer: Xenia 50 is offering a last minute discount of 15% for any charter beginning or ending in April 2019. Send us an inquiry to get specific pricing for Xenia 50. Thank you both so much for your warm hospitality and companionship. This was our first time in the BVI and the first time we chartered a boat —so we really had no idea what we were in for. From the first moment on the dock we have felt welcomed and relaxed. This is truly an amazing experience- one that we will never forget. The food, the sights, the time together on and off the boat have brought us closer together as a family and given us plenty of memories to share and recount for many years. I don’t even know where to begin! This past week has been absolutely amazing! We never dreamed we would have had the chance to do something this fabulous and fun! I really want to thank you from the bottom of our hearts for taking such wonderful care of us and for being the best tour guides in the area. Your knowledge of the islands and your friendliness has been phenomenal. And last but not least we literally had the best meals we have eaten in ages and will be talking about Chef Jade’s food for years to come! May you continue your journey safely, happy and on your own terms! We will never forget this past week and will always hold the best memories of our trip! Tonight is our last night of a spectacular journey through the Grenadines. thank you for making this journey so effortless combined with your kindness and art for loving like. It is a beautiful discovery to be at this juncture in life and be exposed to awesome beauty, wine and foods. we are so grateful to the two of you for making our time together extraordinary. Thanks so much for the best 80th Birthday I ever had. THANK YOU AND FAIR SAILING! This is a bucket list dream holiday fulfilled it in every way possible and more. Looking forward to next adventure with you! The food was outstanding, really felt the love of cooking and hosting. Can honestly say that for once the reviews were justified , in fact you were above and beyond expectations. When you arrived, your first impression of the yacht was? Better than on pictures , very clean , greeting was perfect , quick intro , glass of champagne , showed us main features , safety , we were on our way in 30 min . What did you think about your accommodation? Was the boat kept clean during your charter (your cabins, the bathrooms/heads, your towels, bedding, the cockpit, the galley)? What did you enjoy the most on board? Obviously knew the boat , the region , was good at presenting us options , also good cook , good at mixing drinks , good at details , history , excellent knowledge of wines . Worked around the clock , to give us her best , she was very passionate , wanted to experiment , love quality / freshness , meticulous . she loves what she does , again outstanding , we were looking forward to every meal . If you had children in your party, what did the crew do to make their vacation special (food, games, toys, etc)? Would you sail with us again? Yes I would , for sure. Thank you for and amazing week. this trip exceeded our expectations. it was everything we dreamed of and more. the food was FANTASTIC!! Each snorkel spot was beautiful, the boys had a blast. you are wonderful hosts and we hope to see you again. We have been looking forward to a vacation on the water for many years. this one exceeded our expectations. A wonderful relaxing, happy trip thanks to you two. PS the seven fishes was amazing!!! What a vacation! we couldn’t ask for more- the hospitality, food and the care you took of us. we will be raving about this week for years to come! Thank you so much for this spectacular trip, it really has been a very special week. Everywhere we have gone has been beautiful and the lack of people :) has been excellent. i hope Peter wins his pork pie baking competition ( I think pork Pie is something Margery would like) have a great time in Huntsville AB and on your Canadian road trip!!! Thank you for this wonderful trip. We have had so much fun. and the food was so good! we will miss you so much. Celebration of many things….. 50th birthday Anniversary and Closing on a new home. This trip has ruined all other vacations forever! What a beautiful boat with and extraordinary crew. Jade and Peter have spoiled us rotten and we are blown away by the multiple talents. looking forward to another Xenia 50 Trip in the near future. Love-love-you two! thank you for another great vacation- here’s to engraved water bottles! what a wonderful trip!! Everything was more than we could have expected or imagined. you both were the best hosts on a beautiful yacht. The food was the best!! we loved everything about this journey with you. Hope to be back again in the near future. ps you made our anniversary trip with friends great. What an Incredible vacation! Beautiful boat, Incredible food & awesome company! Happy 50th to one of the best people i know ( Steve) - we love you and cannot thank you enough. Thanks Peter and Jade for an amazing charter. Truly a fantastic vacation and 50th celebration for Steve. Each day was better than the next. Thank you for personalizing our route and our activities. The food was Amazing! we we felt like we were in the best care for the entire trip. Thank you so much for such an amazing week. Your attention to detail is 5 star. we can’t thank you enough for catering to our gluten free needs. We will talk about the incredible food for a lifetime! thank you for everything and for all the amazing hospitality! This trip was a milestone in our lives, our husband and I celebrating 30 years & our kids each 2 years with their spouses. We appreciate your attention to every detail and that you were able to adjust the trip for us so we could just chill and relax. You’ve made private chartering into an art form. We also appreciate your warm hospitality and kindness. The food and service, wine , cocktails made being in these beautiful islands all the better a turtle special and exceptional experience. Thank you for helping to make this family vacation all the better. We pray blessing for you both in all your adventures and hope to return to see you again. PS Jade your culinary skills have left me so inspirited. Please go on Top Chef! So elegant but felt like home. So safe and comfy. I loved walking into the galley with all the aromas generated by Jade’s cooking! Thank you so much for the vacation of a lifetime. Outstanding attention to every detail and best food i have ever consumed! Our trip on your boat exceeded all of our expectations. The food was the best i’ve ever eaten. thank you for the experience of a lifetime. what memories we have made. can’t wait until our next adventure! You both are awesome and we appreciate greatly all that you did for us to make this the trip of a lifetime. Pete and Jade we want to thank you for another amazing adventure. there is no better way to see the beautiful Caribbean than to be completely spoiled the way you two spoil our group. What an awesome vacation! you two are very fun. You are both so talented and always have a smile on your faces. Thank you both for being so kind to our group and putting up with my ( Danny) “unique” sense of humor. this trip has left us with fantastic memories. we will always have fond memories of you both. Thanks for the incredible food, drinks. quiet beautiful coves, secluded beaches, good music, once-in-a-lifetime snorkeling and aliens movie night. we will never forget you two. Thank you so much for making my Birthday special and my spring break so awesome! The trip of a lifetime and i’m already working on Craig to hopefully be back next year ( spoiler alert: they’ve rebooked for 2019) You have blown away our expectations on every level. it was an amazing week of family fun, 5 star meals , incredible drinks, and tones of fun!!!! Jade you are an incredibly talented Chef, we have never eaten so well- Every meal! Peter- a fantastic captain- you took us to great spots, waterskiing, tubing, snorkeling, beach bars etc. You two make such a great team! Thank you, Thank you, Thank you! Dear Jade and Peter, I had a great time. I hope i can come back next year. I saw 4 Dolphins, 2 turtles , 6 stingrays a bunch of puffer fish, tarpon, pipe fish, barracuda, helmet crabs and more. Jade has great great cooking skills and Peter makes great parent drinks and is a good captain. Thank you for such an amazing trip. Everything was perfect!! The boys had the best time Scurrying around! We will be back! It is a rare thing to have one´s expectations so entirely exceeded by the experience. In Don’s case the expectations were modest but he was blown away. In Nicole’s case her expectations were very high- and she was still blown away! A simple sailing adventure became a world of discovery and a gastronomic journey that we believe will not be outdone, at least until we see you next. Thank you ever so much for all of the caring detail. Thank you so much Jade and Peter for the the amazing trip. The food was beyond amazing the entire time and it was all an unforgettable trip. Definitely one of my most memorable trips. thank you so much for everything! Jade and Peter thank you for making a memorable week. No matter the Christmas winds, your food was obscene! Thank you! From the clan Jennifer, Tim, Abby, Ali, Nathaniel (and Sylvia) - Peter and Jade, Thank you so much for a FABULOUS Week! We Had a BlastI You have been so wonderful with the kids. Nathaniel is coming home a much braver boy. The food was amazing we will be relieving it through Abby’s endless food photos. The service was impeccable. we really cannot say enough. I have a feeling that Abby may get a Mermaid tail for her birthday. Hope to see you again. If you are ever in Boston or Maine, please look us up! If you lower your standards we’d love to have you stay! Jade and Peter exceeded our expectations with their professionalism Knowledge and Charisma. their Attention to detail was fabulous and the culinary experience was magnifico<3<3<3<3 also the fishing was incredible- two Dorado, a king Mackerel, several Tarpon !! Jade and Peter Thanks so much for such a fabulous week on Xenia 50! this trip has been amazing. i cannot thank you enough for your kindness, dedication and determination in making our vacation such a success. your attention to detail in everything will never be forgotten. We wish you both safe travels on your future voyages & hope to see you both again soon. Thanks so much for the five ***** food, service, accommodation and scenic views. We had an absolutely wonderful time and look forward to the second time. The Best sailing trip ever! Not a single disappointment along the way, rather Jade and Peter out did themselves time and again with their amazing sailing , food and customer service. We will be back! Fabulous sailing and each meal a culinary experience! Jade and peter were the perfect host to a beautiful vessel. they anticipated our every wish and were truly a great team. We enjoyed every minute. we will partner again! Where to begin? Our time on Xenia 50 has been Memorable! From the first day we set foot on this Beautiful Boat we have been treated like royalty. The sights the snorkeling, the sailing, the Paddle boarding, and the blissful relaxing have all contributed to this fabulous family vacation. And the food!!! Wow - we have loved every single meal, appetizer and beverage. You have spoiled us completely and we’re all leaving fat and happy. Thank you for your gracious and generous hospitality! What was your first impression of the yacht? = Exactly as shown on website. Clean and ready. “We have no words for how relaxing and beautiful this trip was for us. “Good Food, Good Friends, Wishing it would never end! “Enjoyed the pleasure of your company. You two were more than staff, you became part of our family. ´60th Birthday Cruise of a lifetime! We had planned this for 10 years and it exceeded all expectations. Beyond beyond!!! Exceptional!!! Jade and Pete are the best of the best!!!! 8th - 29th April Braziers - 60th Birthday Extravaganza! What can anyone begin to say to describe the mesmerizing mermaid that you are . you are a culinary wiz of an extraordinary kind- your creativity in the kitchen is simply masterful. Your personality shines brighter than any sea glass. you have a zest for life that is contagious . you are a mesmerizing Mermaid! thank you for making our 60th Birthday trip of a lifetime beyond all our expectations- we are xenia find for life, we have the t-shirts to prove it! Captain of the blender and all heavenly cocktails extroadinaire. Captain of our three week creative amazing routing chart!! Your ´adventure seekers” are beyond thrilled and we will never forget all that you have given us. you give so much of yourself and it is so very appreciated! thank you for making our 60th birthday so very special. we will never forget our time with you on Xenia 50 so very special. “You have made two 60 year olds so happy! Thank you just doesn’t say how much we appreciate everything you do. You are masters and we will never forget you both. Our trip was great on Xenia50. The crew, Peter and Jade, were really super, with Peter navigating us to beautiful snorkeling locations and mixing up great cocktails, and Jade cooking amazing meals 3 times a day. The boat, while 2 years old, looks brand new and worked really well for our group. Finally made it to Anegada and loved the beaches and lobster there. Xenia50 and crew should definitely be on your highly recommended list of charterers. Our Experience aboard the Xenia 50 has far exceeded our expectations! the service and hospitality the Jade and Peter showered us with far and wide was impeccable! We were spoiled with all the culinary delights that Jade prepared for our family! both Peter and Jades knowledge and professionalism introduced and enhanced our love of saying in the BVI. This truly was an outstanding vacation and one that will carry our most treasured memories forever! ´Everything was wounderful, awesome food and AMAZING SERVICE, thank you both for our perfect VACATION! Awesome boat... Check! Awesome weather... Check! Awesome food... Check! Awesome scenery...check! Awesome service...check! GREATEST HOSTS ON THE PLANET ...DOUBLE CHECK!! Sorry for the delay in getting back to you. We had an AMAZING time! Peter and Jade are truly truly truly fantastic. The boat was amazing and the food and service were better than we ever could have imagined. Jade (with the occasional Peter meal butting in on her turf) made the most amazing food. Super fresh, super delicious, changed up everything pretty much every day. We never wanted for anything, they had a general outline of a plan for each day and would give us the rundown and ask us what we thought and if there´s anything we´d want to change or do more of. Peter was a great captain as he made sure the boat was always positioned in the best possible area for the least amount of waves and swell in the different coves. They were super gracious and the level of service was off the charts. We really can´t say enough about the trip and would love to submit whatever review we can. We had a wonderful time. Meals were excellent, drinks were fun and creative. Peter and Jade were superb hosts and leaders. We WILL be coming back! PS we also loved the high tech boat! We had a wonderful time. Meals were excellent, drinks were fun and creative. Peter and Jade were superb hosts and leaders. We WILL be coming back. PS we also loved the high-tech boat!